At Mercedes-Benz Fashion Ljubljana you have presented your newest collection. What was the main story of this one? Just like the past ones, this collection is also inspired by me, my internal experience of a certain time period. This time around, I have tackled the question of authenticity - at first on my personal level and later as a general issue. I was thinking about what authenticity actually means to me and what I stand for. As our genuine culture I consider the traditions of our pagan, slavic and shamanistic ancestors, which were always very close to me. On the other hand I haven't felt any close connection with which, in a rather violent way, came after that. Only in the last time period, when this genuine tradition has slowly been coming to the surface, is when I have felt that I have roots. That I am a granddaughter of the witches. In the past you have paid close attention to the choices of fabrics. Certificates of quality and fair trade materials have become a constant in your design. What were the used fabrics this time around? It's true. 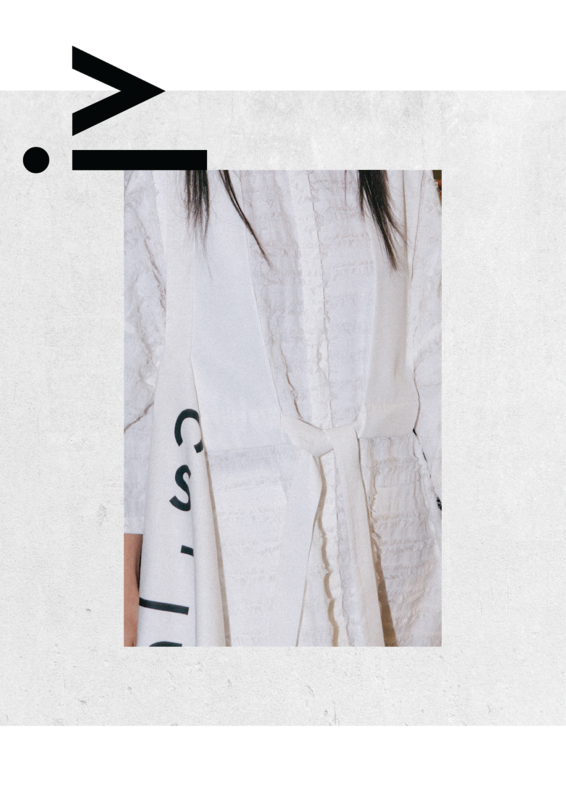 Since the very beginning I have paid close attention to materials and I constantly search for new ways to discover materials, which would be both aesthetically pleasing as well as ethical and comfortable to wear. This may seem a bit of a paradox, but I don't completely trust the certificates. If I compare the material, which was produced in a family company in Belgium or Italy with the one, which was transported from India and has an ecological certificate - it's quite an issue to completely separate regarding in these particular situations what is the most ecological and ethical. The question is also, how ethical is a particular brand, which uses silk, even though it is ecological. These certainly aren't easy questions, but I personally believe that designers try to do whatever they can to design within their vision and take into account other factors as well. It's important to educate others without any judgement. In my new collection I mainly used flax, cotton and viscose. All natural and vegan materials, which were produced in European countries. For the Witches collection we could say that it continued your previous vision. You started designing the famous witches' t-shirts, which you created together with Marko Klemen Sovree (Po dežju). Now it has evolved into an entire movement. 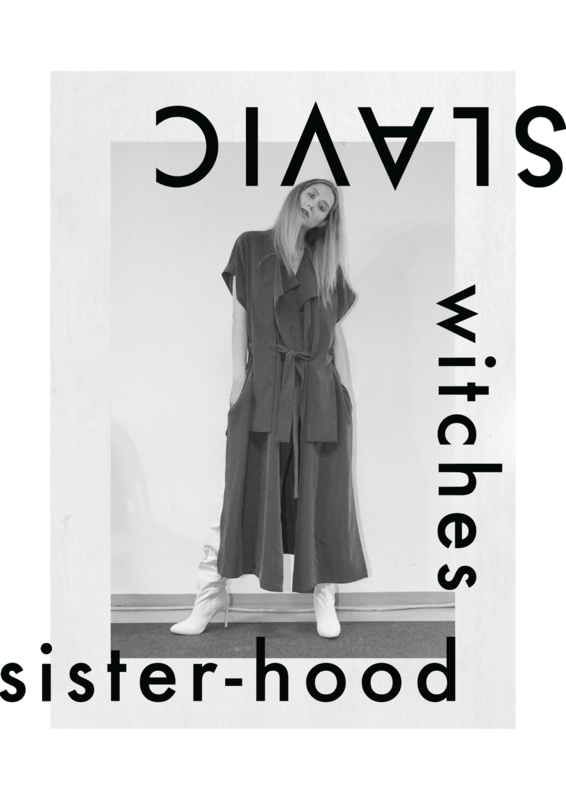 Could you tell us more about the #witchessisterhood? I created the new collection also in collaboration with Marko. He created amazing graphic designs, which I am really thankful for. I could say that he connected the entire collection with his creative ideas. 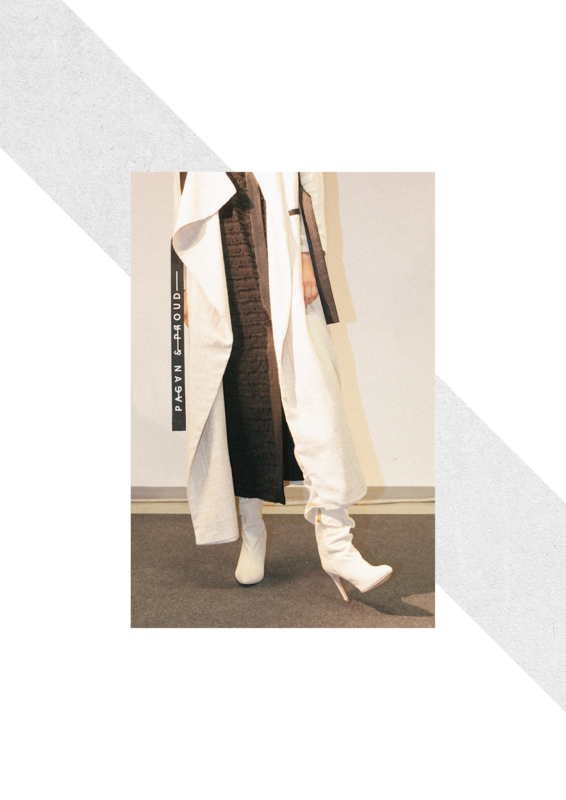 Collection Witches lookbook was my graduate collection, which won an award in 2015 for best collection at Ljubljana Fashion Week. This collection opened many new doors for my career. It has given me a vision, which followed me throughout my creative process - the usage of natural materials, minimalism, archetypes and obviously witches! I strongly feel about those things and they are my constant source of inspiration. According to the response from the public, I believe that it is now finally the time that we, witches connect with the help of the virtual space. Because of this particular reason I have decided to create #witchessisterhood and I hope it will stick. You are all welcome to post on your social media, Let's connect! What are your plans for the future? Do you have any projects in the making you would like to share with us? Currently I am preparing basic t-shirts with designs from the new collection. Some pieces from the collection will definitely repeat so that I can send them to different concept stores, which I work with. I want to collaborate with shops from abroad, which takes quite a long time and financial costs - that is the main reason why I take things slowly. If I am completely honest, I want to take some break, to finally move in our almost-renewed apartment and to later get back to designing, filled with new energy. Of course I will stay open for new opportunities which will come in my way!